Audie wrote: K you seem to have two main points, first that this has anything to do with "naturalism", ( I could say to more point out that "to a goddist or philosopher, everything looks like a nail". I believe Einsten said that. )and second, that you have the probabilities thing worked out. I've read and haven't ignored your post. There are many points yu've made. It'd take a some time to push back as how I see matters, but then for what reason? This is just something we're not going to see eye-to-eye on any time soon. Sorry about any untoward tone from me, I was not in a good mood this morning. As for discussing science, by all means! No more of this "naturalism" etc. Audie: Oh one other thing. You speak of "naturalists" and how foolish they are. 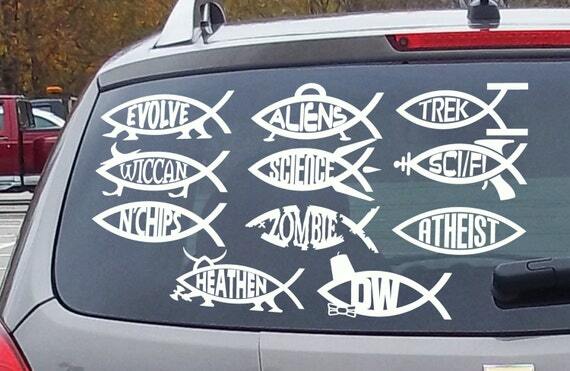 I could speak of "creationists" in the same light. After all, I spoke to one who said excess water from the "flood" went to Neptune to serve as a warning beacon against incoming rogue angels. And that dinosaur tracks in coal were from dinosaurs playing in the angels' coal bins. Audie, you are seriously comparing persons spewing nonsensical, mythological ramblings with those legitimately asking reasonable questions that ALL origins depend upon? Very poor dodge! Audie: How about if instead of speaking of persons not present, and stereotypes, you address an actual person who you believe fits the above stereotypes in your post? "evolution is an argument against God" Honestly. Audie, what turnip truck did you just fall off of? 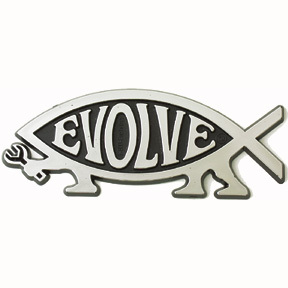 We have seen one atheist after another revel in wanting to assert various aspects of evolution as their answer to why they don't believe in God. First, they see it as the mechanism that shows no God was necessary. And they typically believe that the answer for the universe has to lie in some sort of naturalism/uncaused processes, so we see a lot of comparing what the Bible says about Creation to what various people assert about evolutionary processes. For most atheists, in their minds, if evolution/natural selection is true, then the Bible is complete hogwash. I kinda doubt you can find anyone. Talk abut pointless and redundant talk without the explanatory antecedent! But, just because it is a wide-spread popular belief that evolution/Darwinism refutes belief in God doesn't mean that atheist scientists don't also typically believe that evolution refutes God???!!! I mean, give me a break! "For Darwin, any evolution that had to be helped over the jumps by God was no evolution at all. It made a nonsense of the central point of evolution." "Darwinism removed the whole idea of God as the creator of organisms form the sphere of rational discussion. Darwin pointed out that no supernatural designer was needed; since natural selection could account for any known form of life, there was no room for a supernatural agency in its evolution." "Naturalistic evolution has clear consequences that Charles Darwin understood perfectly. 1) No gods worth having exist; 2) no life after death exists; 3) no ultimate foundation for ethics exists; 4) no ultimate meaning in life exists; and 5) human free will is nonexistent." - William Provine, University Professor at Cornell University and American historian of science and of evolutionary biology and population genetics. "There is indeed one belief that all true original Darwinians held in common, and that was their rejection of creationism, their rejection of special creation. This was the flag around which they assembled and under which they marched. When Hull claimed that “the Darwinians did not totally agree with each other, even over essentials”, he overlooked one essential thing upon which all these Darwinians agreed. Nothing was more essential for them than to decide whether evolution is a natural phenomenon or something controlled by God. The conviction that the diversity of the natural world was the result of natural processes and not the work of God was the idea that brought all the so-called Darwinians together in spite of their disagreements on other of Darwin’s theories." "The theory of evolution demolishes the best reason anyone has ever suggested for believing in a divine creator." - Daniel Dennett, cognitive scientist whose research centers on the philosophy of mind, philosophy of science and philosophy of biology, particularly as those fields relate to evolutionary biology and cognitive science. Audie, while I could go on, I do understand that YOU (to your credit) realize evolution arguments do NOT refute the existence of God. But please don't pretend a very large percentage of atheists - many of whom are also scientists - don't also believe that evolution most certainly DOES refute the existence of God. And THIS is why I say explaining what came first, how the conditions, complex mechanisms, mind-blowing levels of comprehensively interactive components existing in those mechanisms are crucial to explaining how evolution would even be possible - as THAT is THE key question that is often quickly dismissed by those wishing to talk only about processes - processes that supposedly occurred nearly 10 billion years before the first biological life even showed up (if you take the current, widely accepted age for the earth, as do I). Because rejection of the fact that this needs to be answered leads to mind-blowing statements like the one below. "“Because there is a law such as gravity..." Stevie, my dear boy, so what created GRAVITY - and all of those other laws that, with great, unfathomable precision, guided and set the parameters of what came into existence? Last time I checked, such incredibly complex laws could not have created themselves. But I guess when one believes that the universe could have created itself from NOTHING, you don't sweat the small stuff like, where did THE LAWS THAT GOVERNED THE EARLY UNIVERSE come from???!!! Brilliantly stupid, that boy is! Atheists that I've dealt with are intellectually dishonest and believe things there is no evidence for,just so they can deny a creator,then deny they have faith in things there is no real evidence to back up.It is all about semantics instead of substance.It does take more blind faith to believe what they believe than to believe anything in the bible,any story.They believe life evolves with no real evidence and naturalism too with no real evidence.I could never be one of them where evidence does not matter,it is about what you believe is true and the science will back it up oneday. There are many stupid atheists out there just as there are many stupid theists. I don't think Audie is being intellectually dishonest though. It didn't bother me much at all. Sorry back for any bad on my part. Really any fluster should be expected given we have very different positions. But, I can separate that from who you are as a person: smart, intelligent, educated, driven and even a nice soft side beneath a hard exterior. I'm not sure I understand the "where I get my ideas" or no more of the Naturalism. This is just what I feel -- that Naturalism does pervade much of people's thinking even if they're not aware. When I defined Naturalism, sure you didn't like the sound of it, but it seems to me that you do have leanings. Kind of makes sense. You have a biology degree and what would most likely be the reigning philosophy there? But, equally, I have my theistic and even Christian biases that no doubt pervades my own. We should be aware to what we are influenced by. Doesn't mean we're entirely irrational or closed. Hopefully I'm making some reasonable statements here. Anyway, I think I'll keep that ant example in mind and look for any theories people propose. It seems significant to me, even if not to you. Doesn't mean I'm uninterested to explore further just because I see "design". I'll find what it is scientists commonly believe myself. But, I do get that it seems some people see "design" in things while others are like "what the heck are you seeing." It could be in something far more simply like just looking at life, a cat's personality as it plays around, thinking about the universe and how we got here. Doesn't have to be complex. But I've noticed that some people seem to see "design" and others just don't. Perhaps there's a gene somewhere? I've kind of heard there was. abelcainsbrother wrote: Atheists that I've dealt with are intellectually dishonest and believe things there is no evidence for,just so they can deny a creator,then deny they have faith in things there is no real evidence to back up.It is all about semantics instead of substance.It does take more blind faith to believe what they believe than to believe anything in the bible,any story.They believe life evolves with no real evidence and naturalism too with no real evidence.I could never be one of them where evidence does not matter,it is about what you believe is true and the science will back it up oneday. That's funny! Because when I've dealt with you, you make outrageous claims; I ask you to back them up and you disappear without a response. I am still waiting for you to back up claims you've made days ago. If you were intellectually honest, you would either admit you have no evidence or admit you were just bluffing. Intellectual honesty goes both ways my friend! First, Phil, if you are going to further use that completely uncalled for snarky tone with me, this is our last communication. Second, all I said that if some "naturalists" or "atheists' say unreasonable things, its not to say they all or a majority do. Some creationists say outlandish things. The theme is stereotyping. Its zero to do with asking legit questions. You completely misread what I said and its intent. is simply not true, if taken literally. None of the examples you presented provide an example of even one person who thinks that evolution disproves god. Some of the persons spewing nonsensical, mythological ramblings as you put it, are certainly shown to be mistaken. That goes for all the fluddies, the 6 day poofers, etc. It takes serious stupidity to think that "ToE disproves God" or that the bible disproves ToE. If you can find persons soutside this forum who are that dumb, for for it. I dont care to discuss them, and wont. None of the quoted material speaks of refuting God. Creationism is not God. It would be nice to know how evolution became possible. Not knowing how flight is possible doesnt keep birds from flying, The theory is exactly the same with or without god, with or without god starting life. How is that not obvious, and how does that not make the puzzle of origins as irrelevant to evoltuion as to auto mechanics? The workings of physics are not intuitively obvious. Summary: ToE has zero to do with the origin of the universe, or the reality of god. The effort to make ToE something that does have to do with the existence God seem to be entirely or nearly so, from your "side". Efforts by either side to make it that are senseless. I dont think its funny nor will I carry on a conversation with someone who writes up such an outrageous string of falsehoods to state as fact. Audie wrote: The effort to make ToE something that does have to do with the existence God seem to be entirely or nearly so, from your "side". This topic doesn't interest me in the least but I thought I'd comment on your post above Audie. That is simply not true. One of the most famous quotes from Richard Dawkins, the champion of militant atheism, is that after Darwin's theory of natural selection and common descent it is now possible for an atheist to be intellectually fulfilled (me, paraphrasing). Clearly he thinks the ToE did away with the notion of God. Deny it all you want, that is precisely (albeit perhaps covertly) what most atheists think. Audie, I am not trying to antagonize you, as I sincerely care about your eternal fate as well as your well being here. Please don't view as a personal attack when I'm attacking a certain position. And what you assert is a "stereotype" is, in fact, a widely held yet false belief: That evolution proves the non-existence of God. The quotes of scientists I have provided are very typical and well illustrate this belief, as do the popular Darwin fish. But to acknowledge (as you have) that evolution disproves nothing about the existence of God while holding to the belief that something is unknowable, while also constantly appealing to the possibilities asserted by naturalism, to me, show you see naturalism as at least a POTENTIAL rebuttal to His existence. So you constantly appeal to naturalism in your responses, but you deny that really means anything, at least pertaining to God's existence. Very curious. I guess that makes you a solid agnostic. But if you trace belief in pure naturalism all the way back to before the existence of the universe, the answer is either God or some sort of naturalism/metaphysical events - which are precisely what Hawking describes he believes in (a universe from nothing, guided with great precision, the perfect components just magically appearing). And these are things science will NEVER be able to explain. Which is why I say explaining the origins of the universe's building blocks and complex information-laden mechanisms need to be addressed before merely talking about processes, which are only a FAR later result. You dont take "Dawkins" word for anything else, why do you take it for that? YOU do not, btw, know what "most" atheists think. Or why. Suggesting as you did, however covertly, that most atheists are dimwits is kinda uncool. Most Chinese..subjective impression.. wouldnt waste a minute on such silliness as this proof / disproof of god thro science stuff. Physics disproves god! Biology and geology disproves god! Nah, Total nonsense, non topic. As to whether or not someone feels "fulfilled", what ever-the-h. that means, it still has zero to do with ToE has anything to do with the existence of God. Nor does how you feel about it. Philip wrote: Audie, I am not trying to antagonize you, as I sincerely care about your eternal fate as well as your well being here. Please don't view as a personal attack when I'm attacking a certain position. And what you assert is a "stereotype" is, in fact, a widely held yet false belief: That evolution proves the non-existence of God. The quotes of scientists I have provided are very typical and well illustrate this belief, as do the popular Darwin fish. But to acknowledge (as you have) that evolution disproves nothing about the existence of God while holding to the belief that something is unknowable, while also constantly appealing to the possibilities asserted by naturalism, to me, show you see naturalism as at least a POTENTIAL rebuttal to His existence. So you constantly appeal to naturalism in your responses, but you deny that really means anything, at least pertaining to God's existence. Very curious. I guess that makes you a solid agnostic. If you dont want to antagonize, good. It is tho a personal attack when you go snarky on me, so lets call it what it is. Stereotypes are of common things. Lets see, Negros with watermelons and fried chicken, Chinese with buck teeth and squinty eyes. Creationists live in trailer parks and didnt finish high school. I requested that we talk of persons present, not of stereotpyes of whoever. The more you say it is common and widespread for atheists to say ToE disproves God, the more you are saying they are commonly, mostly, dimwits. NOT ONE of your quotes says anything about disproving GOD. That some readings of the bible lead people to believe nonsense is indisputable. That the flood and the 6 day p oof are nonsense cannot be disputed by any honest educated person, without resort to basically saying, "I believe god, you believe man". A lot of science disproves a lot of readings of the bible. Not GOD. I dont care to discuss "naturalism", another stereotype that someone tried to attach to me. I dont care to discuss the origin of everything, its over my head, and over the head of everyone else here. As well as everyone else on planet earth, at least for now. Your statement about what people can ever know is getting into facts not in evidence. Magic appearance is what Genesis talks about, not science. By that, we'd all still be in the paleolithic. And perhaps if you are right about people never figuring it out, we'd be stuck there. "Processes" include, you know, things like erosion, deposition, uplift, faulting, plate tectonics, vulcanism. All sorts of chemical and physical and biological processes. We can study those just fine without knowing the origin of the building blocks. This is so in your face obvious, I cant imagine why its necessry to have a go-round on it. Oh... one more thing...does a photo acquire coded information when it bounces off something? PaulSacramento wrote: One of the (many)things that evolution does NOT address ( or claim to) is what sustains life. Physics tells us that energy can't be destroyed or created, it just is (though it can change state as in the case of kinetic energy). Physics also tells us that the universe had a beginning so it seems there can be a contradiction of sorts ( there isn't). It seems that Energy needs to be created as some point or at least needs something to take it from state (A) to (B), whatever those states may be. And in that, energy, the building block of the universe and of all life, needs something to sustain it. You do accept that some things are properly outside the scope of ToE? Kinda like chemistry and geology are not about the origin of energy? maybe you can explain that to the guy with the aurora, he still says things like..
which is why I say explaining the origins of the universe's building blocks and complex information-laden mechanisms need to be addressed before merely talking about processes, which are only a FAR later result. Evolution only addresses changes OBSERVED in nature ( in the case of past events it is based on interpretation of the historical data). It does NOT address anything other than that. People that say they don't see any evidence for evolution typically don't either understand the evidence AND how it relates to evolution or they expect those changes to be a certain ( like always leading to an improvement that is visible or noteworthy). See, the example of the Finches is a good one because it shows two birds that basically look the same and are Finches BUT because they can't interbreed succesfully, are two different species. Not that either species is "more evolved" than the other ( in the case of some superiority). For some, it seems, that evolution should make it so that the evolved species is SO VERY different from the original that there is no way to see them but as VERY DIFFERENT things.